WyMo Consulting resolves your Sales Effectiveness concerns by performing direct client research to obtain non-biased customer intelligence. We develop programs that deliver improved win rates, better revenue realization and increased retention rates. Do you have amazing sales results, but somehow revenue just hasn’t materialized? Have you been losing deals with new prospects who should be a perfect fit? Are you experiencing customer churn in industries where you've been successful before? Most corporations attempting to grow or maintain revenue in today's economic climate are wrestling with at least one of the challenges above. Established corporations may find that the methods and strategies relied upon in the past are not proving successful. Rapidly growing entities may find that the sales processes they are using are ad-hoc in nature and do not provide the rigor needed in a more complex organization. Whatever the scenario at your company, WyMo Consulting can help you understand the true cause for your sales and revenue trends and provide the insight to fix it. A formal Win Loss program gathers information on a company's sales process, sales team, products and services. This intelligence provides the ability to spot trends and make strategic changes based on actual customer and prospect feedback. Our win loss reviews incorporate facts from the sales teams and evidence from the customer/prospect to help you understand their buying motivations and pull the triggers to improve your sales results. Revenue growth is heavily dependent upon maintaining the current billing levels of existing customers. Retaining these customers causes 100% of the new sales to contribute directly towards revenue growth. To ensure you continue to win your customer's ongoing business, a retention strategy, process and customer feedback are paramount. Our comprehensive Customer Retention programs incorporate direct customer input, industry specific strategy and formal streamlined processes to help you improve your revenue trends. As your sales and revenue growth partners, we develop programs that deliver superior win rates, improved revenue realization and increased retention rates. We provide actionable insight benefiting both Sales and Marketing. 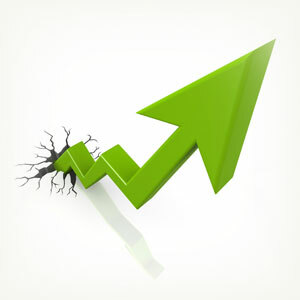 We provide recommendations for strategies and tactics that will enable your sales organization to close more business. A formal Win/Loss Analysis program allows you to improve products and services, guide your sales training, and gain understanding of your customer's buying drivers. Book-to-Bill audits allow you to identify and correct the root cause of revenue breakage and an accurate Sales Booking Process is essential for accurate sales forecasting. The right Customer Retention program helps you monitor your customer's state of mind throughout the customer lifecycle so you can retain more customers. Member Satisfaction Programs help you understand your memberships goals and preferred activities so that you can create programs to keep them coming in.